Love Bukowski is finally in London! Her term abroad at the London Academy of Drama and Music promises to be anything but average. After leaving Hadley Hall, her dad (who’s got a new girlfriend), and her beloved Aunt Mabel (who is fighting breast cancer), Love faces a new set of challenges across the pond: vocal lessons, keeping up with Arabella and her new friends, and falling for the a Brit who is completely off-limits. Will Love turn around and retreat to the world she’s left behind? 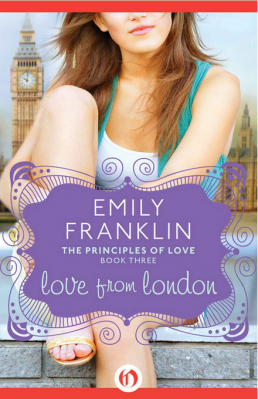 Or choose to dig deep into all that London (and love) has to offer?